advertising, well-being and contemporary fashion. 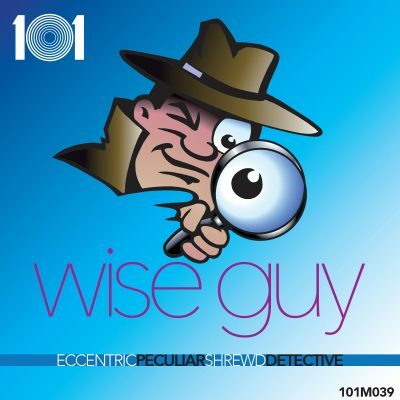 for 101 Music Pty Ltd. Recorded at: Hazy Cosmic Jive Recording Studio (Newcastle, Australia). Engineered & Mixed by: Gareth James Hudson. Mastered by: Kathy Naunton, dB Mastering (Sydney, Australia). Editing of Montage Music Sampler: Art Phillips, APMD & 101 Music Studios (Sydney, Australia). Album cover and banner artwork: Pete White, Twin Pete’s Creative. Creative metadata: Beverly Klingsick & Art Phillips. Turning Corners was composed by Gareth James Hudson, a prolific composer, musician and record producer from Australia. 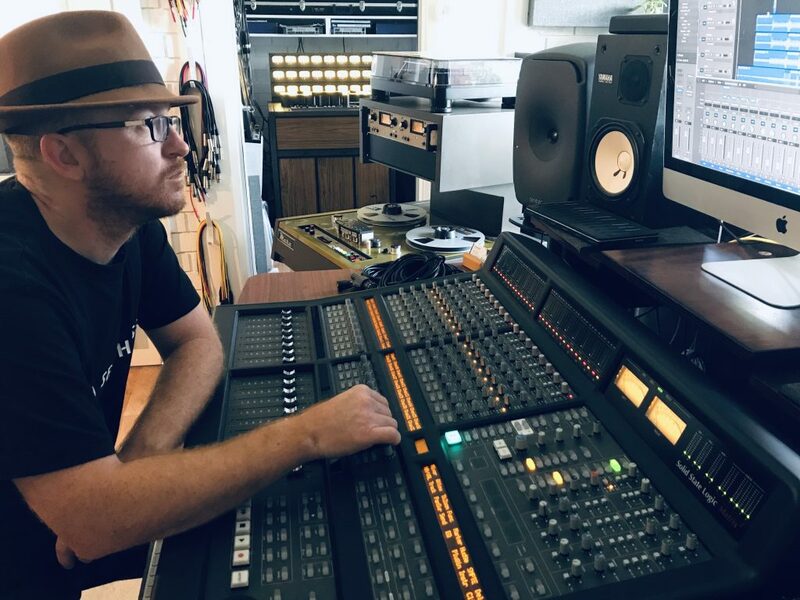 Gareth has produced and recorded with award winning artists including Amy Vee, JayTee Hazard (Hilltop Hoods, The Last Kinection, Brigg – featuring Gurrumul), The Beards, The Buddy Knox Blues Band, Auriel Andrew and many more. His obsession with recording and composing began in his early years and he has been collecting instruments and recording gear, which developed into ‘Hazy Cosmic Jive Recording Studio’ which he owns and manages. The studio features state-of-the-art digital equipment and software, fused with old school analogue equipment and instruments – the key to Hudson’s unique musical sound shaping. Gareth has performed and composed music for his own original bands, The Good (1999~2006) and Hudson Arc (2012~present). He has toured extensively throughout Australia and Europe as front man (guitar/vocals) for each of these acts. He is a key band member and composer with the award winning Buddy Knox Blues Band. Buddy’s blues band has been featured at events such as the Byron Bay Blues & Roots Festival, Woodford Folk and Dreaming Festival, Darling Harbour Jazz & Blues Festival and the Blue Mountains Music Festival. Gareth also enjoys collaborative songwriting and co-wrote Auriel Andrew’s signature tune ‘Ghost Gums/Chumvale Run’ performed on her 2016 Buried Country National Tour. He has written several musical theatre works beginning with The Shining Isle: A Rock Opera (librettist Nick Higginbotham), premiering in 2006 at Australia’s Civic Theatre in Newcastle. One of his show songs won an ABC Music award. He also composed for the 2010 Gilbert & Sullivan spoof, Mermaids of Mull, and won a 2009 City of Newcastle Australia Drama Award performing with Jon English in his musical Buskers & Angels. In 2007, Gareth received a SPARK grant from the Australia Council & Youth Arts Queensland to work with film music composer Art Phillips (owner and sole director of 101 Music Pty Ltd), initiating Hudson’s theatrical play Between Worlds. New Musicals Australia selected Between Worlds for a 2015 ‘snapshot’ presentation to industry judges at the Hayes Theatre. After extensive workshopping in Sydney and Hawaii, the work is currently being considered for major staging in both Hawaii and Australia in 2020. It has been a pleasure to commission Gareth James Hudson for this project for 101 Music Pty Ltd, as his creative talents and production skills are uniquely contemporary and world class. Gareth has come a very long way since I first mentored him some 12 years ago, and he has proven to be an exceptional talent. I’m excited to announce that Hudson has just been commissioned for another 101 Music project due for release in July 2019. When I began working with Gareth on this album just six months ago, he immediately got the concept and vibe of the project, never wandering off the track. He brought some wonderful innovation to this album, making it contemporary, urban, feel-good rhythmic pop in an electro and acoustic organic style. 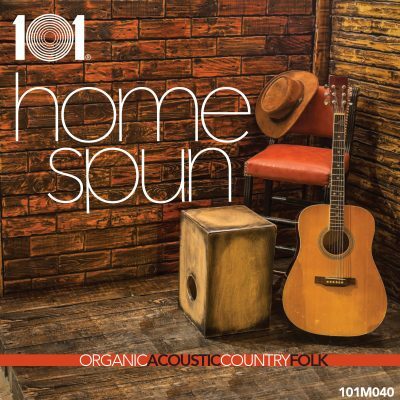 Hudson performs all the instruments, which are live acoustic and electronic on this release. 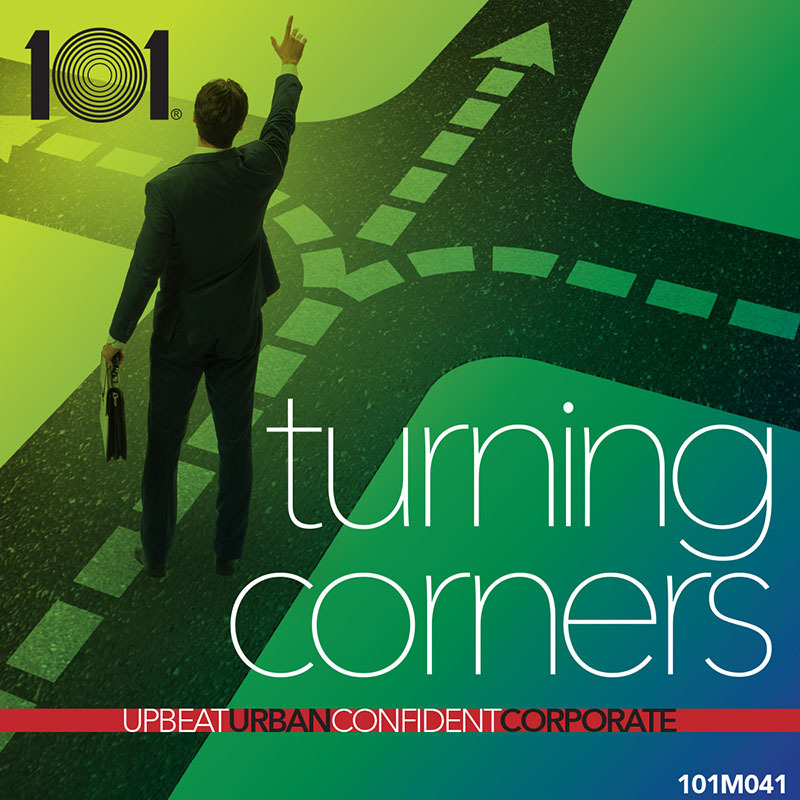 The concept and purpose in this release title, Turning Corners, is all about music for making smart choices in business and personal life with a positive mindset. Making the right choices, decisions and choosing a direction by confidently ‘turning that corner’, allows you and your business to move ahead positively in the global marketplace, and to nurture your life in a fulfilling and healthy environment. The project was originally envisioned for usage in the business, corporate and advertising market, but it also sits quite comfortably for contemporary fashion as well as all sorts of lifestyle applications. Gareth found a perfect canvas of sounds for this project, by combining both the analogue and digital worlds through the use of computer based electronica and real instruments. For this project, Gareth embraced a modern, urban approach to the drum production and incorporated contemporary vocal production techniques through sampling and re-pitching. The lead instruments are often created with Hudson’s voice, which are later re-pitched and sent through various plug-ins to create unique synth-like timbres. Alongside computer-based instruments, Gareth used an old-school collection of real instruments including a Wurlitzer electric piano (1974), Fender Rhodes electric piano (1981) and a Hammond B3 Organ with a Leslie cabinet. 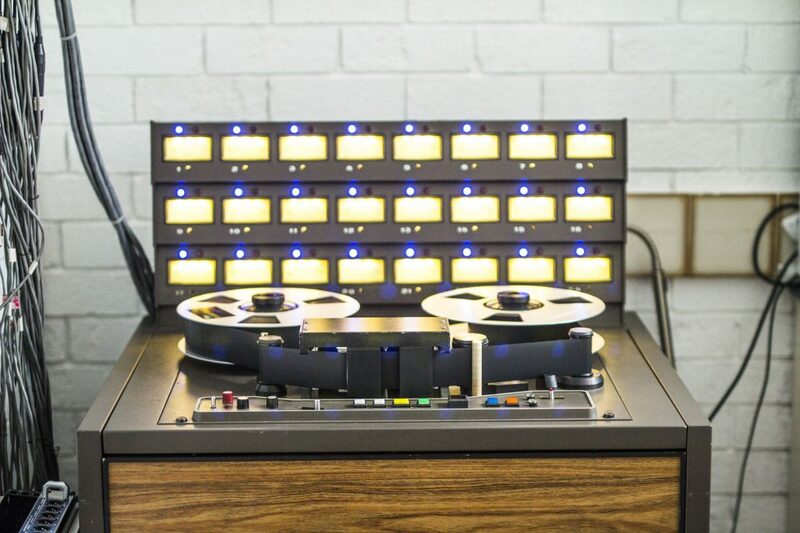 He also used two analogue tape machines, a MCI JH24 / 2” and a MCI JH110 / ½” for recording and transferring various instruments back into his digital work station. Before sending the final audio mixes off for mastering, Gareth’s final mixes are always printed back to his DAW via a ½ inch two track at 30ips, providing that wonderfully rich analogue touch. The project was beautifully mixed by Gareth James Hudson at Hazy Cosmic Jive Recording Studio (Newcastle, Australia), and mastered by the renowned audio guru Kathy Naunton of dB Mastering (Sydney, Australia). Editing of the montage music sampler was produced by Art Phillips at APMD & 101 Music Studios (Sydney, Australia). 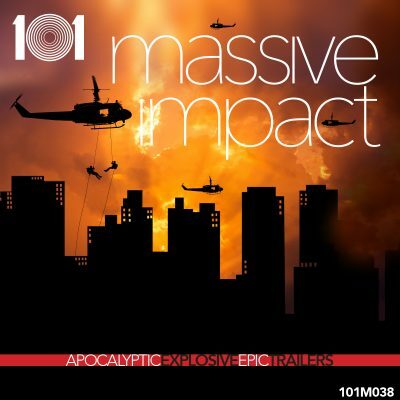 I encourage you to utilize 101’s marketing material to help promote this album to your clients. 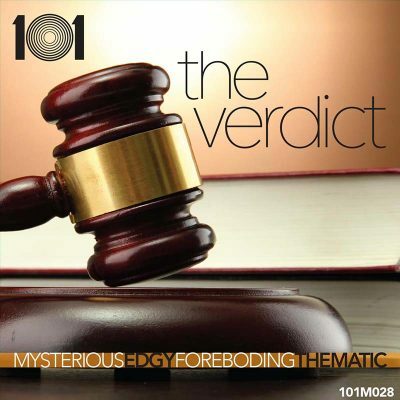 I have included the usual music montage sampler showcasing the highlights of this release, 101’s rectangular marketing banners incorporating the album cover inclusive of the ‘4’ most important keywords for the album, along with 101’s extensive metadata that we spend many weeks on in order to create a defined and purposeful marketing angle which is search / user friendly. Track titles, track descriptions and track keywords, as with album descriptions and album keywords, always refer back to each other to ensure the ‘101 bulletproof search and find rule’. 101’s next release, ‘101M042 Primal Instincts’, highly charged filmic trailer scores with plenty of dramatic edge in a dark, futuristic and dystopian style – composed by renowned US based composer Gary A. Piatt, and scheduled for release in early April 2019. 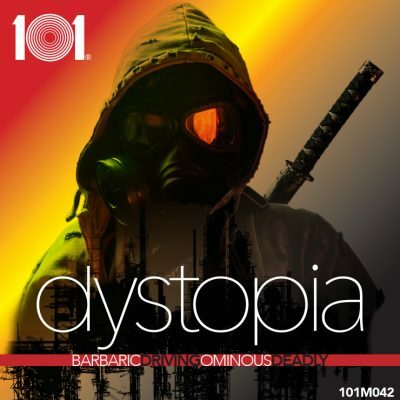 101’s next release, ‘101M042s’, highly charged filmic trailer scores with plenty of dramatic edge in a dark, futuristic and dystopian style – composed by renowned US based composer Gary A. Piatt, and scheduled for release in early April 2019.